Saw this outside the shop of Don's Auto Werks in Campbell, CA. I'm not an expert on 914s but I thought the 914-6 was a Porsche only car that they did on their own after the collaboration with VW on the 914. My first Porsche was a MY74 914 2.0 that was an RoW car. 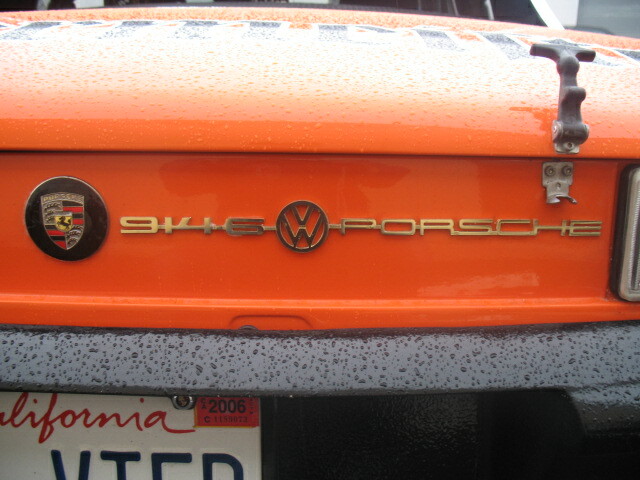 All RoW 914's were co-badged (as far as I know) so my 914 2.0 also had the VW logo. I don't know the history of the 914 series. I thought in Europe the 914 was sold as a VW and the 914-6 as a Porsche. 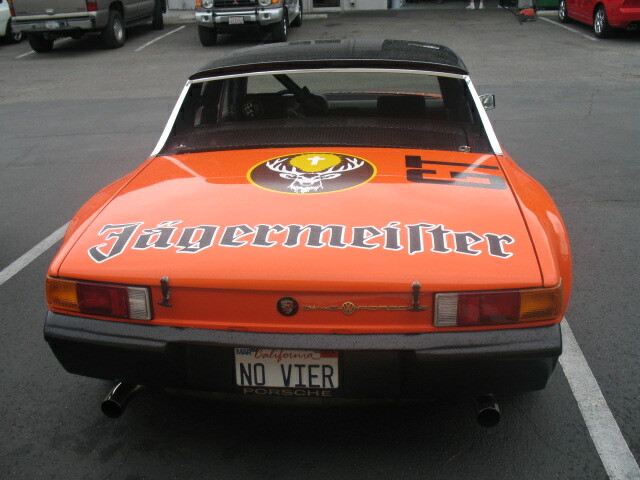 In North America both versions were sold as Porsches, so there was no VW badge. This is why I was suprised to see the 914-6 VW Porsche badge. The lady who unloaded the car from a trailer said the car originally came from Germany where it had been raced. I could understand if it was a 914 with the VW badge, but not a 914-6. 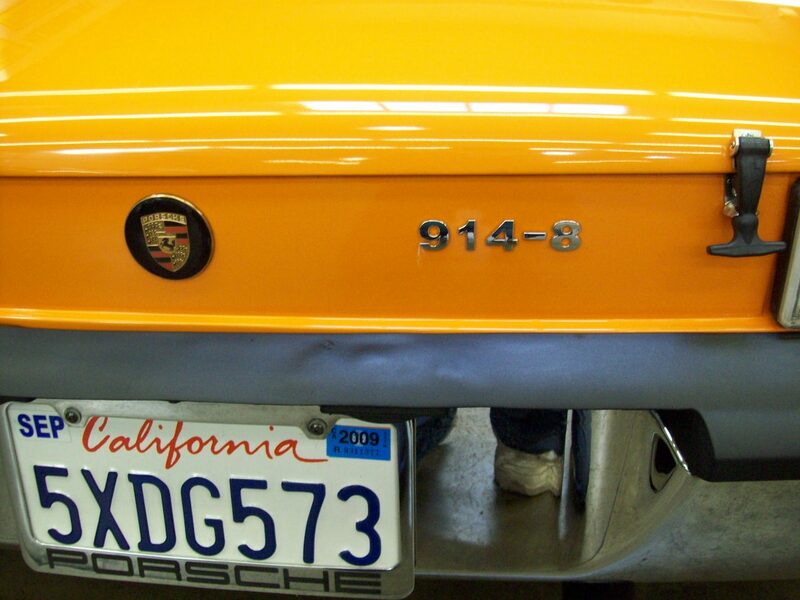 But from a google search I found images of 914-6 VW Porsche badges, so it must be original. I have seen the car at other local events in the past but never noticed the badge. Next time I seen it I'm going to stick on my extra Boxster badge and take a picture. Not really. 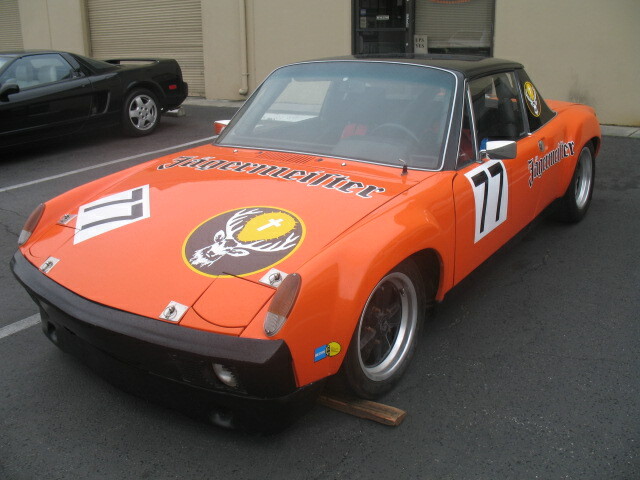 ;) There are lots of engines stuffed into 914s. From Subaru to big Porsche flat 6s to Chevy V8s. Altho I think I remember one 928, but that might have been in a 944 (or maybe it was a 914). Oh, and there are some killer Type IV engines. Search Jake Raby. I always thought a 912 engine would have been great, but never saw it done. 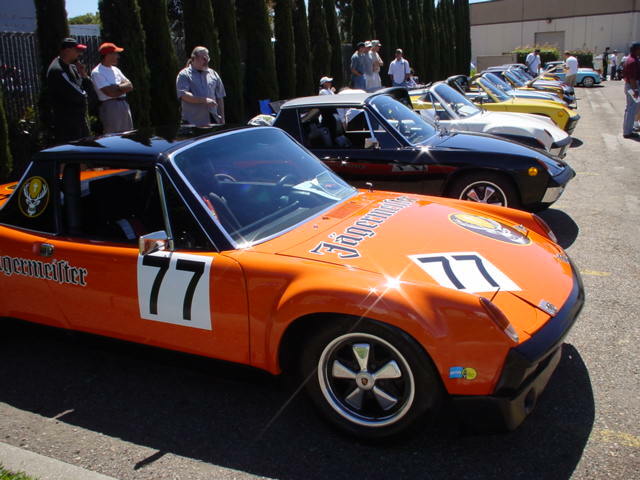 There were a few 914-8 built by the factory with a 908 boxer 8 too, but I bet thats not one. I dont have any problems with whatever people choose to run though ,cause Ive commited auto blasphemy on occasion.